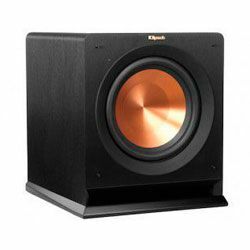 The Bic Acoustech PL-200 II vs Klipsch R-10SW collation allows me to see that the PL-200 II has much higher maximal output power than the R-10SW (1000W versus 300W). The nominal output power advantage is also on the Bic Acoustech side – 250W against the 150W. The first PL-200 II accommodation can be a little bit tricky because it adapts to the new conditions with difficulties (it has to take into account the furniture, which muffles the sound). 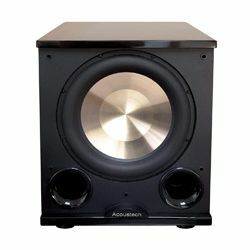 At the same time, it’s very easy to place the R-10SW; it can produce the required sound immediately after installation. The PL-200 II brings a rich undertone to all the movies and songs. Strong and clear bass is perfect for rock and pop listening. 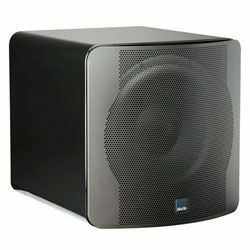 If I compare this sub with R-10SW, I will see that the first unit has a little bit better audio features because the earthquake-like bass tracks sound realistic and surrounded. 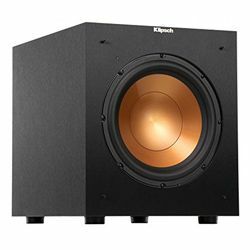 The Klipsch has a problem with an auto-on/off feature. It doesn’t work correctly even when the toggle switch is set on auto. The Bic Acoustech has no problems with such a peculiarity and everything is performed according to the settings. 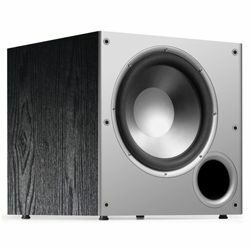 The Klipsch’s subwoofer has a low build quality because the corners are poorly painted. The overall finish is heterogeneous, so the entire design looks cheap. As for the Bic Acoustech, I thought it had a metallic finish, but in reality, it is painted with a gold color that looks unattractive. The Klipsch R-10SW vs Bic Acoustech PL-200 II weight comparison shows me that the first device is much lighter than the second one (25.5 pounds versus 46 pounds). I can watch movies at night with great LFE effects, and not to worry about overpowering the room. Only 30-40% volume is enough to make this sub shaking picture frames from all angles of the apartment. The right channel output doesn’t work from time to time. The line input jacks don’t protrude enough. Due to it, I can’t connect the desired cable. The sound is deafening for my apartments. The receiver’s calibration mic makes me aware that the subwoofer is too close. The output lowering present to me a great result. It gives that supplementary oomph to video games and music. The device is starched. It’s not a very serious defect, but it significantly affects the appearance. There is a port noise on lower frequencies at comparatively low volumes.